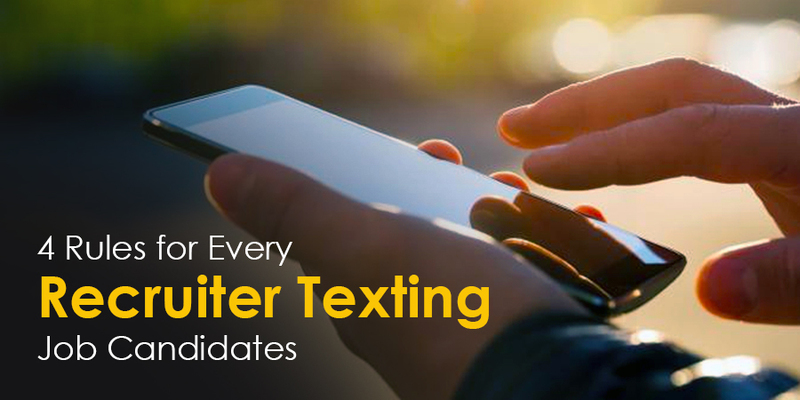 Text messaging is a valuable communications tool that recruiters can use to easily connect with candidates. It helps increase engagement and improve the hiring process through faster delivery of information and effective management of expectations. It also facilitates uninterrupted communication, helping a recruiter cut down unproductive correspondence with less qualified or uninterested candidates.